Today is Valentine’s day — a day meant for love and chocolate. But typically, that love is given to another person. So is the chocolate. What if, instead of focusing so much love outward, you focused some of it inward? Would that be wrong? Would it be selfish? Nope. It would be wise. It would be healthy. I’ll explain why, and I’ll also explain how you can do it. 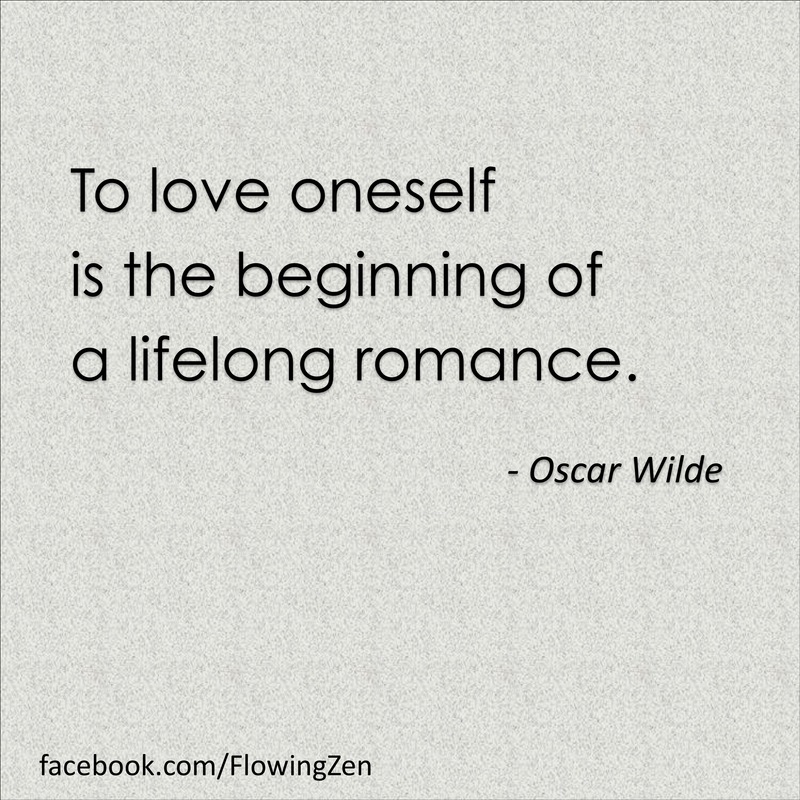 If you have trouble loving yourself, then you have an imbalance. Don’t worry. You’re not alone. Millions of people suffer from the same imbalance, whether they realize it or not. In Tai Chi terms, this imbalance is called a disharmony of Yin and Yang. Love is a form of energy, and like all forms of energy, it must be balanced. Otherwise problems arise. Love that moves outward is considered Yang. Love that moves inward is considered Yin. If too much energy moves outward, and not enough moves inward, then you have a Yang imbalance. If you want to be happier and healthier, if you want to have more fulfilling relationships, then you need to balance that out. If you’ve read this far, then you’re probably the type of person who has too much Yang, and not enough Yin (in terms of love). Chances are, you’re always trying to help people, even if it means sacrificing your own needs and desires. You probably don’t even think that your own needs and desires are important. How do I know this? Because I’m specifically writing this article for you, not for the other type of imbalance (i.e. those with too much Yin). Neither the Yin nor the Yang imbalance is better or worse than the other. Both are problematic. It’s the balance point in the middle that you want. Like the Buddha said, we want the middle path. If we tighten the sitar string too much, it will break; if we make it too loose, it won’t play a song. But this article is directed toward those who are more Yang, those who send too much energy outward. Nurses, for example, often have this imbalance. When it comes to love, they tend to send it outward. Their love is more Yang. If you’re like this, then you want more Yin in your life. And perhaps a little less Yang. Ultimately, you want the harmony between the two. It’s this harmony that that leads to both happiness and fulfillment. This is the secret behind Tai Chi. When Yin and Yang are in harmony, everything flows effortlessly. But when Yin and Yang are out of whack, then trouble starts. This secret holds true for martial arts, for health, for relationships, for the planet, and for the cosmos itself. This concept of harmony is sorely lacking in our society. I suspect that, for many of you, the concept is totally foreign. You’re probably not used to thinking this way. And that’s okay. Now you’re learning to think differently! What do flight attendants teach you before the airplane takes off? They teach you to first put the oxygen mask on yourself. Why? Because if you don’t put it on yourself first, then you’re going to pass out before you even get a chance to help others. Do you want to save the world? Do you want to help as many people as possible? I certainly do. That’s my mission. But people like us often make a critical mistake: We put the oxygen mask on others before ourselves. This is exactly what we see with nurses and others who suffer from the Yang type of imbalance. They try to put the mask on everyone else first. Sure, it works for a little while. But in the end, this isn’t the best way to help people (or oneself). The secret is to start with yourself. 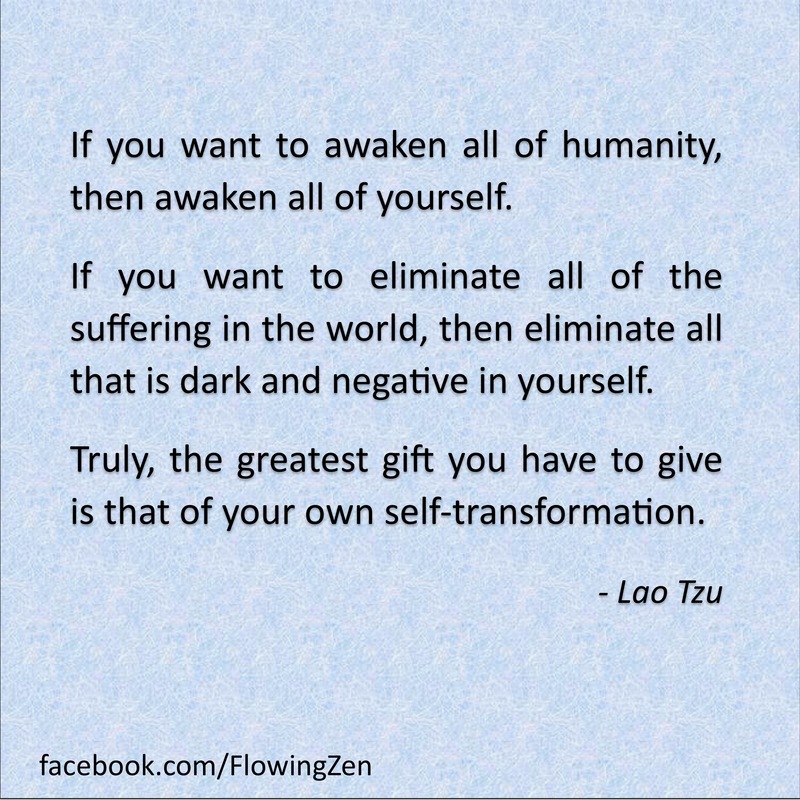 Transform yourself. That will be your gift to the world. For example, if I had not started with myself, if I hadn’t healed my depression and my sick heart, I would not be able to do what I do today. I’m able to help so many people today because I put the oxygen mask on myself first. Even today, even after all these years, I still have to be careful. I have a tendency to send my energy outward, to constantly try to help others. But if I do too much, then I have no energy for myself or my wife. In fact, I made this mistake in 2012. I overextended myself, worked 80+ hours a week, and as a result, I began to burn out. Thankfully, I caught myself. I know that, if I want to help as many people as possible, and if I want to continue helping them for years and years, then I have to send some love inward. By now, I hope you see the importance of loving yourself. That’s the first step. And it’s a big one. Once you decide to fix this imbalance, once you commit to sending more love inward, things will start to change. But how do you do it? How do you actually start sending love inward? I’m not going to give you a laundry list of tips for loving yourself. There are plenty of articles like that on the Internet. I’m not saying that any of those things, like journaling or daily affirmations, are bad. But to me, there’s one thing that you can do that is more important — and more effective — than anything else. But sitting meditation probably isn’t for you. Unless you are lucky enough to find an amazing teacher, sitting meditation will be hard. You’ll do better with moving meditation, like Qigong and Tai Chi, or even Yoga. If you don’t have a teacher, then you can start with my free stuff, or Lifting The Sky (and keep an eye out for my upcoming book). For me, meditating daily (with Qigong and Tai Chi) is a priority. It’s even more important than teaching. If I don’t take care of myself, how am I going to take care of my students? So I make the time to practice every day. A few weeks ago, a student from out of town wanted to schedule a private lesson with me in the morning. It was the only time that she had available. But I teach in the evenings, so the morning is my personal practice time. Even though she offered to pay me $200 for my time, even though she needed my help — I said no to her. It wasn’t easy. I truly wanted to help her. But my personal practice time is sacred. It is precious to me. It is my way of sending some love inward, every single day. 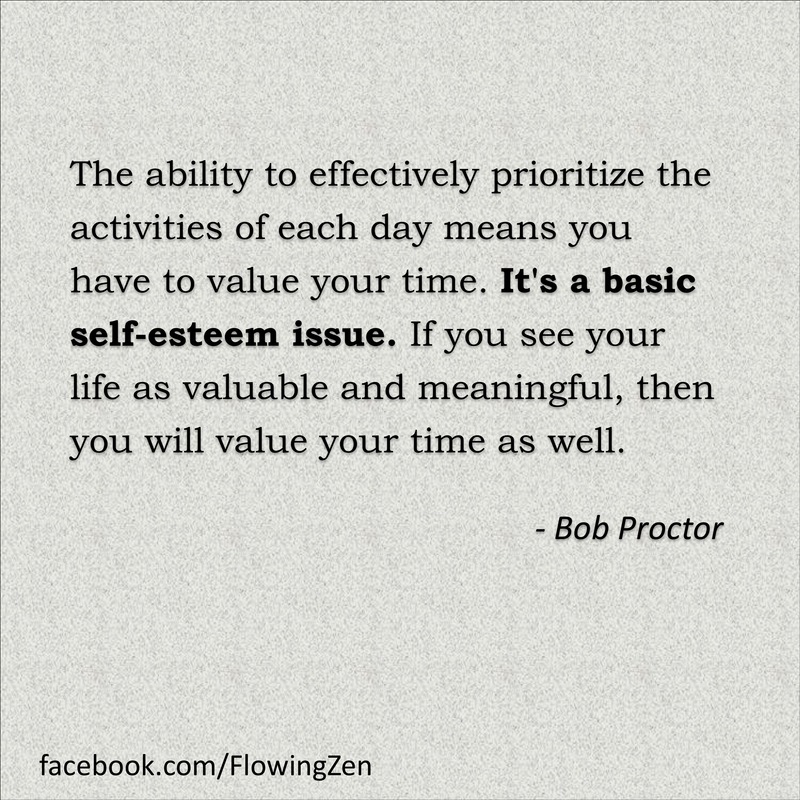 It’s precisely because I see my life as valuable and meaningful that I make the time to meditate every day. That’s one of my secrets to discipline. Meditating is a priority, every single day. In fact, I don’t think there’s anything I do in a day that is more important than practicing. Do you see your own life as valuable and meaningful? Can you embrace this philosophy of sending love inward, of taking care of yourself first? I hope so because the world desperately needs people like you. And we need you to be happy, healthy, and balanced. I’d love to hear your thoughts in the comments section below. Did this post resonate with you? Do have any questions? Go ahead and post a comment below. It’s easy. Wow, that was a perfect article for me to read right now. I just journaled 4 pages today about how I spent so much time the last day focusing on outward things, that I forgot my supplements and messed up an important healthcare appointment. I thought to myself, what is going on here that those external things were more important than me and my health? And this article reminded me of something I realized a few years ago in multiple ways, that I do have a Yin deficiency, and have a lot of Yang energy which is strongly reinforced by the way I am in my job. Also, I have been feeling messages to meditate. So thank you for this perfect article right now for me. I’ve done sitting meditation for years, and still occasionally enjoy it, but I find the meditative experience of Qigong more fulfilling. The few minutes in stillness at the end of my session give me more peace than 20 minutes sitting with my mantra. The entire 15 minute practice heals and harmonizes body, mind and spirit. I might miss practicing on a “free” day, but never on a work day. It’s required for the balance and clarity needed to show up in the world, ready to “be beautiful.” I am grateful! This describes me to a tee! I am a nurse and mother of three children. Guess what? I totally burned myself out and am still living with the consequences. I HAD to stop looking after others and focus on myself. Thanks to your blog I am learning to smile from the heart and try to do it everyday. I’ve found it easier to find a good yoga teacher where i am so I stick to that for the moment although I love the form of qigong. Things are definitely shifting but the guilt I feel at giving myself the attention and not giving it out is sometimes crippling and overwhelms any sense of myself as valuable. Does this fade with time? My intention is to care for myself but I don’t always feel it! Thank you! I enjoyed this article and really needed to read this! Hi, Thankyou for posting this blog. You had shared a good and reasonable explanation about YIN and YANG, which i do not know or heard its meaning in the past. I agree wholeheartedly with the principle, but it takes a lot of effort to practice it, and I think that your other article about 12 aspects of balance to life is equally important as, you really need both types of harmony — call it internal engine (heart) harmony and external (“ego” or, better, “apparent self” ) harmony are important. “I love myself more when I am with you,” I think, is what people say when they have more harmony of love. To me, this issue is present when when people tell me : ”I would love to, but I don’t have the time”. It makes me cringe to hear this. Makes me sad for them. It’s a choice more than anything, and probably a lie to themselves most of the time.